Brother-sister pop duo Cooper & Gatlin have released a remix of their debut single “Break” done by Ultra Records artist Tep No. "The song was already amazing,” says Tep No. “I decided to completely change the instrumental to give it a more guitar-oriented feel. I recorded a bunch of guitars for it and it's one of the best remixes I've made, the drop is insane." The original “Break” is a catchy and relatable tune about the stoic face you put on in front of ex- lovers. It plays with the duality of looking alright before someone who has broken your heart. Upon its release the track was featured on Spotify’s New Music Friday playlist and the video has amassed over 530,000 plays. The duo likes to describe their sound as acoustic-meets-electronic. Finding inspiration from artists like Broods and Kevin Garrett, they draw you in with their lush harmonies, tight melodies and playful brother-sister dynamic. Originally from Franklin, Tennessee, the family relocated to Los Angeles in 2014 and the two have spent the past several years honing their craft as songwriters and musicians. By forging their inspirations, the duo recently wrote a batch of new left-of-center pop songs that are fun and uplifting in delivery, but still deeply personal and relatable. Although putting their debut into someone else’s hands was nerve-racking, they couldn’t be happier with the results. “Tep No is amazing and absolutely killed it. We love hearing the melody and lyrics over a new chord progression. Also, the fact that the DJ remix is still guitar-based is a really nice touch. It feels like a completely new song, yet keeps the spirit of the original,” they said. Laura Escudé’s journey comes full circle with the release of Transmute, the four song EP that documents Escudé’s intimate journey into finding her own voice. Transmute is out today worldwide on all major digital retailers and streaming services. Laura Escudé is the epitome of an innovator. She is an artist, a producer, a CEO and the world’s most in demand controllerist and live show designer. She possesses a deep understanding of complex technology, a passion for music and art and a unique talent for fusing the two. She was the world's very first certified Ableton expert and trainer. Her work with Ableton has led to her to working with artists like Logic, Miguel, Kanye West, Jay Z, Porter Robinson, Herbie Hancock, Charli XCX, Drake, Bon Iver and more. The demand for her work and time led to her starting her company Electronic Creatives - of which she is the CEO. Electronic Creatives is made up a team of top tier programmers, hired and trained by Escudé to serve the company’s A-List client roster which now includes The Weeknd, Harry Styles,Camila Cabello, Vic Mensa, Ariana Grande, Kid Cudi, Iggy Azalea, Garbage, Charli XCX, Yeah Yeah Yeahs, Selena Gomez and more. Escudé has previously recorded and released music under the Alluxe moniker, and the Transmute EP is the very first body of work she is releasing under her name. In addition to her own work she has been commissioned for remixes by artists such as M83, Polica and Mr. Hudson. Her violin playing can be heard on “Watch the Throne,” on Hit-Boy’s mixtape, Big Grams, Kanye’s Dark Fantasy Tour. This new music retains her signature sound, a unique and intricate blend of classical and electronic music, and showcases her mastery in both worlds, as classically trained violinist and master technologist. Transmute starts off with “Control,” released as a single earlier this fall. The song examines the turmoil Escudé experienced of trying to control every aspect of her multifaceted life. To remain in control created stress and sickness, giving up control meant chaos. With the title of one of the world’s most in-demand live show designers Escudé was always on edge about doing and achieving more. It is when she surrendered control that she started to make a shift away from things - relationships, substances, obligations – that didn’t serve her. The EP’s powerful title track features pounding percussion and Escudé’s ethereal vocals and lyrics like “Don’t hold me down, it’s all in my head,” that she repeats realizing her fears of not reaching her potential is what was holding her back from making her dreams a reality. The third track “Awaken” is Escudé not only realizing but embracing her new found freedom away from the mental roadblocks that had been hindering her from being her best self. Her fears of regret and unlived potential are now in the past and Escudè learned to express the emotions she had long repressed while trying to fit into the hyper-masculine music industry. She has found a balance between the masculine dedication to duty and the feminine ability to simply be present. Transmute is a declaration of everything previously unexpressed. The screaming thoughts that once tormented her are here finally expressed with courage and grace. Throughout her entire career Escudé has been deeply dedicated to education and to teaching her craft to up and coming artists and producers, especially to women who are very underrepresented in the production space. She is a frequent guest lecturer at conferences and major universities all over the world. This fall alone she was a featured speaker at the Ableton Loop conference (see her Ableton ONE Series HERE), was a featured mentor for Red Bull’s Hack the Hits program, Spotify’s CO.LAB Series and the Berklee School of Music’s Signature Series. She also announce early enrollment for the “TRANSMUTE” online course, which is made up of curriculum she has been for over a year. TRANSMUTE is the 8 week online accelerator for artists experienced in Ableton Live who are ready to transform their live performance. It was designed to empower artists to be in total control of their live show. The course not only leads artists through interactive modules on how to become self-reliant, but teaches them how to leverage a niche community for continuous growth and how to embrace a new-found creative process led by Ableton's first Certified Trainer Laura Escudé. 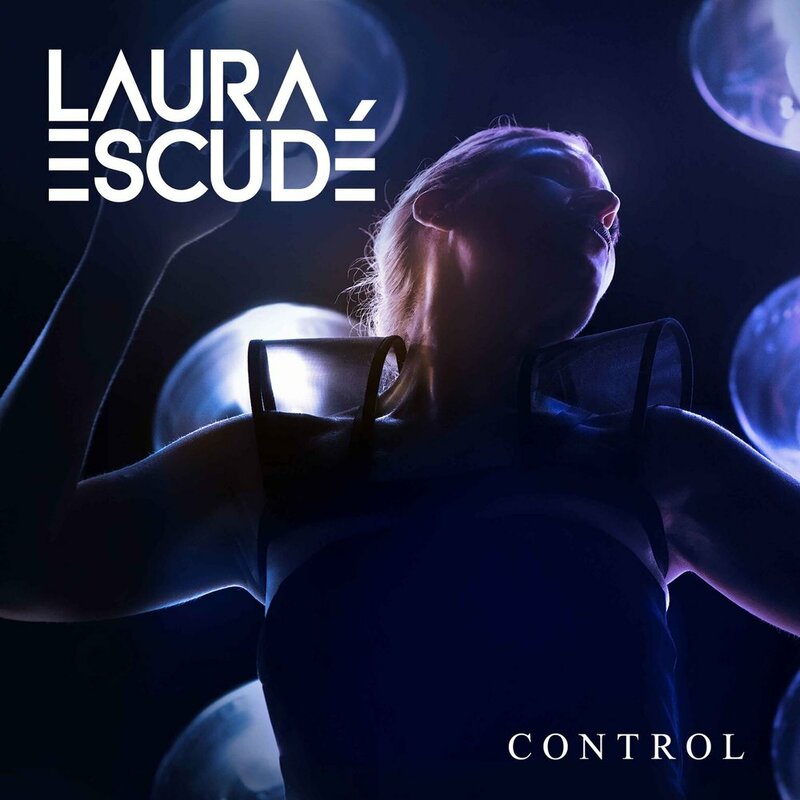 Laura Escudé’s “Control” is out today worldwide on all major digital retailers and streaming services. This is the first single off the forthcoming EP Transmute due out on November 16th. Laura Escudé is an artist, innovator, CEO and the world’s most in demand controllerist and live show designer with a deep understanding of complex technology, a profound passion for music and art and a unique talent for fusing the two. She is the world's very first certified Ableton expert and trainer. Her work with Ableton has taken her all over the world working with artists such as Kanye West, Jay Z, Porter Robinson, Herbie Hancock, Bon Iver and Miguel, with whom she did double duty for on his Wildheart tour as his opening act and was in his band. The demand for her work and time became so great that she started a company called Electronic Creatives - of which she is the CEO - and hired and trained a team of top tier programmers to serve her A-List client roster which now includes The Weeknd, Harry Styles,Camila Cabello, Vic Mensa, Porter Robinson, Kid Cudi, Iggy Azalea, Garbage, Charli XCX, the Yeah Yeah Yeahs, Drake, Logic, Selena Gomez and more. Her immense success has inspired her to give back and help pave the way for other women in the technology and electronic music space. Escudé teaches masterclasses and is a frequent guest lecturer at events and major universities all over the world. This fall she will be a featured speaker at the Ableton Loop conference, and is lending her talents as a mentor to programs with Red Bull (Hack the Hits), Spotify (the CO.LAB Series) and Berklee School of Music (Signature Series). Last year she launched the first ever Transmute retreat, an immersive experience where attendees were able to dig deep with Escudé on live show design. The focus of the retreat was wellness, and the importance of a wellness practice in the life of a creative, a topic that Escudé is extremely passionate about. The retreat was so successful that Escudé is developing an online version of the course to be launched early next year to satiate the demand. Escudé has previously recorded and released music under the Alluxe moniker, and “Control” is the very first release since going back to using her own name. This new music retains her signature sound, a unique and intricate blend of classical and electronic music, and showcases her mastery in both worlds, as classically trained violinist and master technologist. “Control” is the sound of Escudé letting go. It was inspired by a wake up call, after a stint in the hospital due to exhaustion, that she needed to change her life. Laura has spent the past year pulling back the layers of her psyche, tearing down the walls she built up around herself. The Transmute EP is the sound and feel of a woman who’s examined the darkest parts of herself and come out the other end transformed. It is an intimate look into her journey of finding her voice and being comfortable in her own skin, as an artist and a woman.